TCMA card editors called this man Bill--born William Arnold Morgan--but Baseball-Reference.com knows him by the more memorable moniker Tex Morgan. If I were Bill, you can bet Tex is what I'd want on anything sports-related. Bats, autographs, hats, you name it. Give me a Tex monogrammed sweat towel! 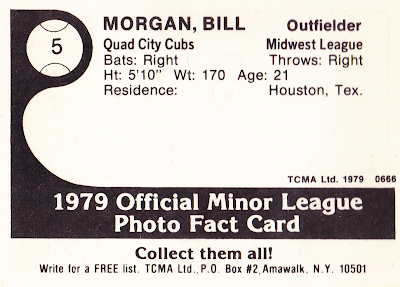 Tex spent 1979 and most of 1980 shagging flies for these Cubs. 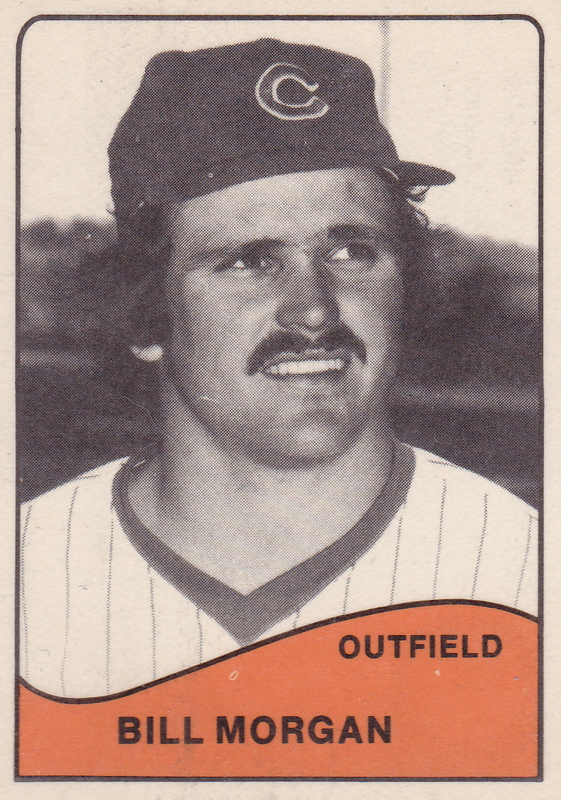 He never crested above Midland's AA team, unfortunately, as hitting .212 in the minors rarely means success in the majors, and retired after 1981. Value: This #5 cost $2 from MinorLeagueSingles.com, about right for late 70s cards of guys who didn't reach the majors.